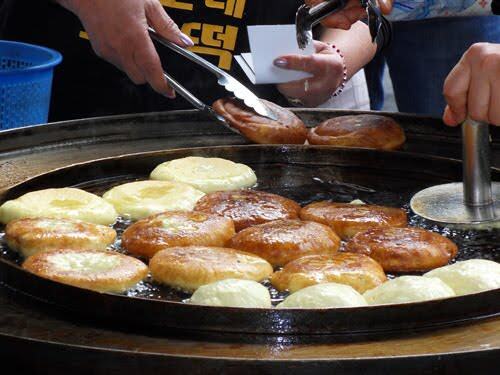 Hotteok is a popular street snack in Korea. It’s a sweet treat made by pan-frying yeast dough stuffed with a brown sugar and nut filling. You can easily make it at home with this easy to follow recipe! I have a sweet treat to share with you today! A delicious hotteok (or hoddeok) recipe! 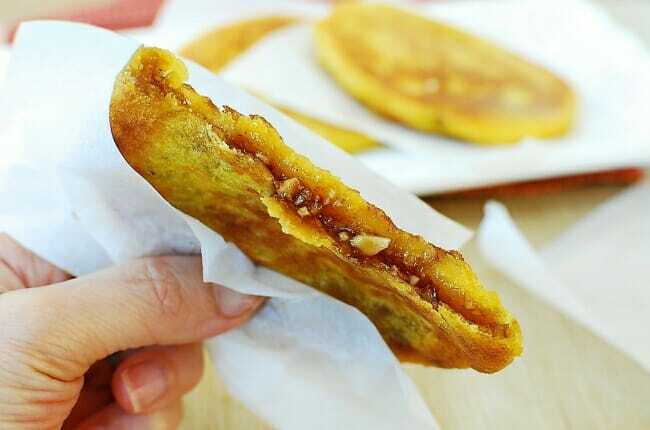 Hotteok is a popular street snack in Korea. It’s basically a pan-fried yeast dough stuffed with a brown sugar and nut filling. Eaten hot off the griddle on the street, hotteok is especially popular on cold days. It also reminds me of my trip to Korea in late October two years ago. My parents had traveled over there to get home country care for my mother’s illness. Soon after, I followed them to help them out. One day, after having stayed at the hospital all night, I decided to go to Insadong for a little break. Strolling around, I ran into a hotteok stand with a long line of people. It got me curious, and before I knew it I was in line. I later learned that this place, called Teolbone (Beard man’s) Hotteok, was very famous for their signature glutinous rice and corn hotteok. Although it was not the traditional hotteok that I grew up with, it was quite delicious! It certainly warmed up my soul when I was tired and weary on an unusually cold October day. When I returned home, I experimented with different ingredients and ratios to recreate it. However, that is not the recipe I am sharing here today. Because it’s pumpkin season, I’ve tweaked it a little to make pumpkin hotteok. After a couple of trials, I was very happy with how these came out. They are chewy, gooey and nutty! 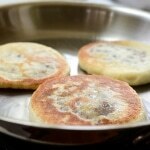 Chewy, gooey and nutty hotteok, Korean sweet stuffed pancakes! Warm a large bowl by rinsing it with warm water. Add 1/3 cup of warm water to the bowl. 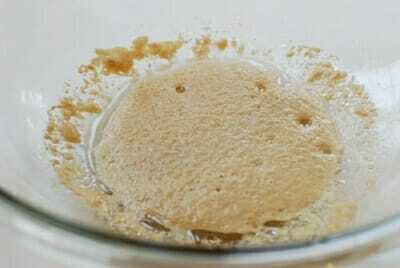 Stir in the sugar, oil and yeast. Let it sit for about 10 minutes until the yeast has bubbled up. Sift the flour, glutinous rice powder, and salt together. 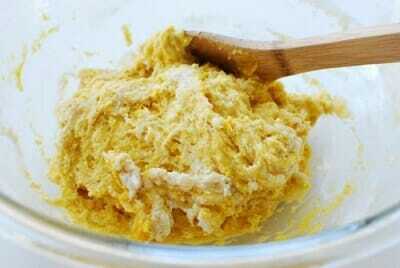 Add the milk, pumpkin and flour mix to the yeast water. Knead until everything is well incorporated. The dough will be a little sticky. Cover with plastic wrap. Place it in a warm place and let it rise until doubled, about an hour. 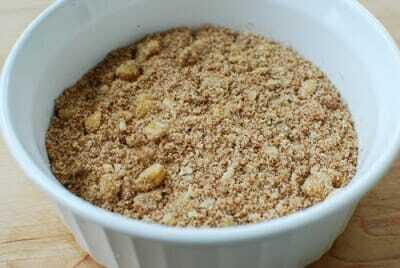 Prepare the filling by chopping the nuts and mixing all the filling ingredients well. Bring the dough down by reshaping into a round. Let it sit for another 20 - 30 minutes until doubled again. Start heating a pan with a couple of tablespoons of oil over medium heat. Lightly oil your hands. Tear a big enough piece to make an about 2 to 2-1/2-inch ball. Flatten into a thick disk, creating a shallow well in the middle. Add a tablespoon of the filling and lightly press it down with the spoon. Put the sealed side down on the pan, flattening a little by pressing it down with an oiled hand or spatula. Cook for a minute, and then flip over. Press down for a few seconds to flatten. Cook until both sides are golden brown. 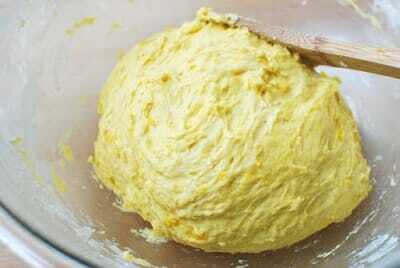 Repeat the process with the remaining dough. Hotteok freezes well. 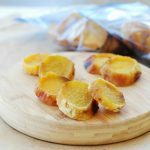 You can reheat them in a toaster or toaster oven and enjoy delicious hotteok any time. Oh my GOSH! I used to eat these ALL THE TIME in Korea! I’m not a big pumpkin fan though… Can I ask how you make them regularly? Guess what I found yesterday? A hotteok press! I couldn’t believe my eyes when I saw that in a Korean miscellaneous store here in KL. I was going to make hotteok tomorrow but I guess you beat me this time, ha ha! Can’t wait to use my precious hotteok press to make fabulous Korean hottek. Love pumpkin version, too. these look so good, I’m going to try making them so! Thanks for the inspiration and the recipe. If I can’t buy sweet rice flour, (actually I don’t know what this is), can I just use ground rice? I could make my own, in my Thermomix. But is there a preferred rice, glutinous rice perhaps?? Your photos are so bright and clear! This snack looks really good. Sweet pumpkin pancakes stuffed with nuts? I like it already!!!! 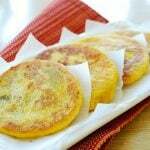 This hotteok sounds really interesting with the addition of pumpkin and sweet rice flour. 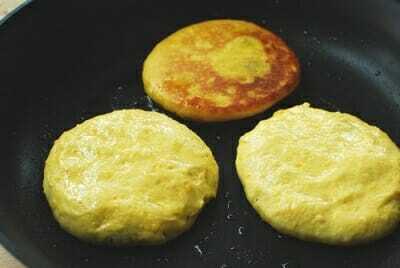 I’ve tried making Hotteok before and it was really easy.I shall try to get round to making this one. Your pumpkin pancakes must taste fabulous. They look very unusual too. I am very happy to discover your blog and hope to learn more about Korean cuisine. I love gochujang, kimchi and have enjoyed all the rarely tasted or cooked Korean dishes, so it’s time to cook more. Your recipes sound so appealing and are so well explained, I feel I have found a perfect teacher. this looks amazing. What a creative way to make hotteok! Love the sound of gooey chewy pumpkin pancakes. Yum! Michelle – Thank you very much for your readership! It means a lot to me. 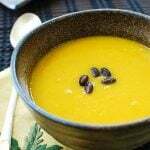 Sara – Just simply omit the pumpkin, and use a little more warm water (1 or 2 tablespoons). I like to use glutinous rice powder, but it can also be made simply with wheat flour. Thanks! Nami – I really like the street food culture in Korea. It’s so much fun! My mom is doing okay. Thank you! Holly – I used to have one of those but can’t find it any more. Just disappeared. Really I beat you this time? How could that happen? I am the slower one. Ha ha! Look forward to seeing yours. Thanks for stopping by! 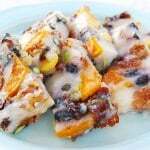 Cheryl – Sweet rice is glutinous rice. I should have noted that. I am not sure regular rice would do the same trick though. Updated! Thanks for visiting! Fern – Thanks for the nice words. Hope you get to make and enjoy it. Jasmine – The use of sweet rice in hotteok is very common, and pumpkin is used often too. Hope you try it and see how it compares to the simple wheat flour version. Of course I would love to hear about it too. Thanks for visiting! Sissi – Thanks for such kind words! I am very happy to see you here and look forward to hearing more about your Korean cooking. I’ve always wanted to try this..they look delicious!! Pumpkin makes everything more delicious!!! Wow! This Saturday I have mroe time for me. I’ll make this for me and for my sister. There’s just so much food everywhere in Korea; that I remember from my last trip there!! Jen – Thank you! Hope you try it one day. Stephanie – Thank you! And thank you for mentioning eating and living in your interview with Saveur.com. I am incredibly flattered! Elena – Let me know how it turns out for you. Thanks for visiting! Christy – Nice to meet you too! Look forward to getting to know you through our blogs. Hi Hyosun, I just visited Holly`s blog and found her version of Hotteok and now your pumpkin version is making me sooooo….drooling I can eat my PC screen up! I`m pretty sure I`m going to have a sugary Sunday. Thank you for sharing the recipe, Hyosun! These look and sound so yummy! Hopefully I’ll get a chance to make them before pumpkin season is out. this looks AMAZING. I’m going to try it next weekend! As a child in Korea, I would burn my lips eating these as the hot sugar oozes after a big bite. There is nothing wonderful as these Hotteok! I love how you added pumpkin in these, Hyosun! Must try for my kids this week! This is a such an indulgence. After seeing pumpkins being used in variety of pies & muffins, the Korean way of enjoying pumpkin definitely calls out to me. 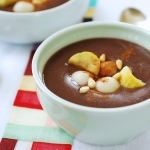 Really great recipe! Arudhi, Biren, Soyeon, Kay, and Reese – Thank you so much for visiting and for the kind words! Hope you get to make them. They are delicious! Honestly I never try this kind of pasty before but it sure look AMAZING! Love the filling..well i love everything about this pancake! Wonderful job!! I follow a few food blogs, but yours is the first I’ve actually had the urge to post on! 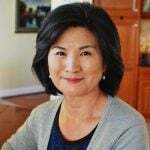 I’m Chinese and I’m living in Atlanta right now. We have a big Korean population here so there are a ton of Korean restaurants nearby, with new ones popping up all the time. I wish the Chinese food in Atlanta was nearly as good! As someone who cooks and loves to eat, I have to re-iterate what many others have told you; your recipes are the best I’ve seen for Korean food. I found you searching for a recipe for ojingeo bokkeum. The minute I read yours, I knew it was the right one. The flavor was exactly what I hoped it would be! I’m posting here because I’m planning to make hobak hotteok tomorrow. I wanted to let you know that your hotteok recipe is not listed in your recipe index. I panicked when I went there searching. I first had hotteok at a Korean supermarket. I couldn’t resist every time I saw a Korean woman frying them up on a little electric pan. They were delicious except for an odd chemical aftertaste. I think it was from use of baking soda/baking powder. I’m so excited to make them at home using your yeast recipe. Thank you! Hi Denny – Thank you so much for your kind words. I’m happy to hear you like my ojingeo bokkeum recipe. Hope your hotteok turns out great as well. Sorry I’ve missed it in the recipe index. I’ll add it soon. So happy to hear it turned out delicious! Good to know the microwave works well to cook kabocha. You can press it down a little longer (or harder) to flatten more. Thanks for taking the time to let me know how it went! My hobak hotteok turned out delicious! Thanks so much! They puffed up like filled donuts instead of being flattish like the ones I’ve purchased, but they taste much better. I will add that I sliced off a piece of kobacha, wrapped it in plastic wrap, microwaved it for about 2-3 minutes until tender. Then I scooped out the soft flesh and added it to the cold milk (so I didn’t have to warm the milk) before dumping the mixture in with the flours and the yeast. I don’t know if I can taste the kobacha, but it made the dough such a beautiful orange color I don’t regret using it at all. Thanks again! This looks so yummy, but I have a nut allergy. What would you use to replace them? You can simply omit nuts. Thanks for visiting! can you substitute water for milk? thank you! 안녕하세요..저는 호주에서 왔어요. I’ve been following your blog and cooking your recipe. They’re very delicious. I love Korea, I even learn the language, but alas I progress very slow. This hobak hotteok, the glutionous rice powder (sweet rice), i can’t find near where i live (as I live in country, not in big city). Is it the same with just glutinous rice (that you use in hobakjuk) and I make it into powder? Another question, what do Korean eat for 추석 (chuseok)day? 반갑습니다, 에스터씨. You’re right. It’s the same sweet rice. If you can make it into powder, that will be great. The most representative 추석 음식 is 송편 (songpyeon), half-moon shape filled rice cakes. 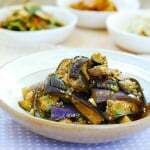 Japchae, galbijjim, nokdujeon, fish jeon, and various namul dishes are eaten as well. You can find all these on my blog, except songpyoen which I hope to post it soon before 추석. 좋은 하루 되세요. 감사합니다. 효순씨 감사합니다 (sorry if I incorrectly wrote your name). 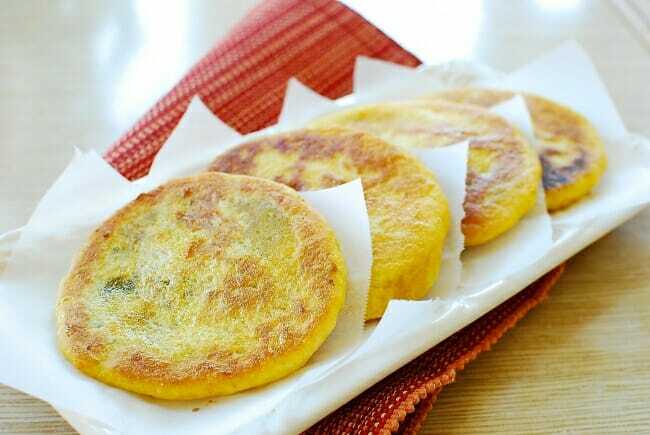 To celebrate 추석 I have planned to cook galbijjim, japchae, bulgogi rice and some side dishes, and dessert will cook this hobak hotteok. If i can hv your 송편 before 추석 day, i will cook songpyeon. Sounds great! I’m working on songpyeon and hope to post it before the weekend. I know that’s not giving you much time, but hope it works out! Thanks. Also, it’s 효선, not your fault. It’s just how my name is romanized. Hi, Do you use metric or us measurements? Can you give me the measurements of both the flour in grams at all as I have been having trouble with it not working for me! Love your blog! I made this last weekend but the dough came out very sticky. In the end, I had to add in more flour. Not sure what happen. The end result is still ok. Taste wise is delicious. Glad to hear it was delicious at the end. Just reduced the liquid a little next time. Pumpkin puree might have had more water content. Thanks! tried this, fantastic… my kids and husband loves it. 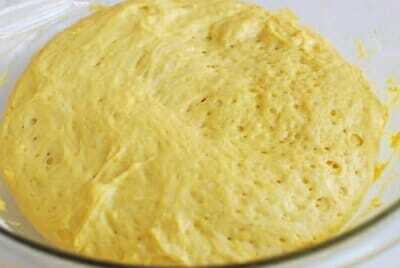 the only alteration is the filling, I made sweet version of mashed potato (sweet potato, butter, cream, rhum, egg yolk). Yes I would thaw before reheating. I usually reheat in a toaster. All those reheating source should work. Enjoy! I just made these using canned pumpkin. I followed your recipe exactly and I thought the dough seemed a little dry but they turned out perfect. I got 10 beautiful hoddeok and already ate 2! I’ve really missed this street snack after moving home to Canada after my exchange term ended. Thank you so much for sharing such a delicious, easy to make recipe! 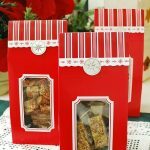 Now I can reminisce while eating these yummy treats at home! Just tried these today, so easy and simple yet so delicious! Will definitely be making them again and again.